One of the hardest things to do as a writer is put your reader squarely in the mind of a unique and intricate character. Mark Haddon, with The Curious Incident of the Dog In the Night-Time, has done this just about as well as anyone I’ve ever read. Through the eyes of Christopher John Francis Boone, a fifteen year old who likely falls somewhere on the autism spectrum, the novel explores the murder of Wellington, a poodle, and ultimately much, much more. 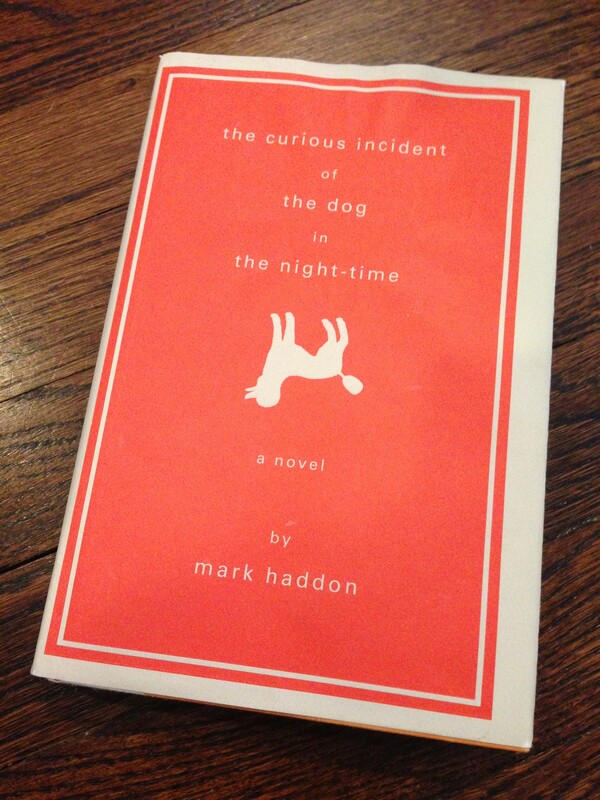 What makes the The Curious Incident so notable is, of course, the unique viewpoint offered by its narrator. Christopher’s quirks and oddities create a wholly engaging perspective from which even the simplest acts, a hug or a train ride, become wholly foreign tasks deserving of inspection and reevaluation. Like many great works, The Curious Incident allows us to look through someone else’s eyes while also holding up a mirror to our own lives, values, and beliefs. And with a plot filled with twists and turns and all manner of unexpected emotive incidents, The Curious Incident is far more than just a character study. Haddon is no literary slouch. His prose is focused and rich with symbolism. His characters, whose actions and words often betray their intentions and desires, are tragically flawed and therefore accessible. The narrative carries through episodes of violence, infidelity, and abandonment which, when viewed through Christopher’s pragmatic eyes, allow for a piercing examination of trust and familial relationships. If you believe, as I do, that the primary purpose of art is to communicate some piece of the human experience, then The Curious Incident of the Dog In the Night-Time is a must read. Through Christopher Boone, Mark Haddon gives us a view of another life, one that’s worth seeing and that, once seen, should only enrich our own.